Jerusalem (AFP) - Israel's army said Sunday it has uncovered another Hezbollah "attack tunnel" leading from Lebanon into its territory, the fourth since it started a search-and-destroy operation this month. The military refused to give the exact location, stressing the tunnel did not "pose an imminent threat". 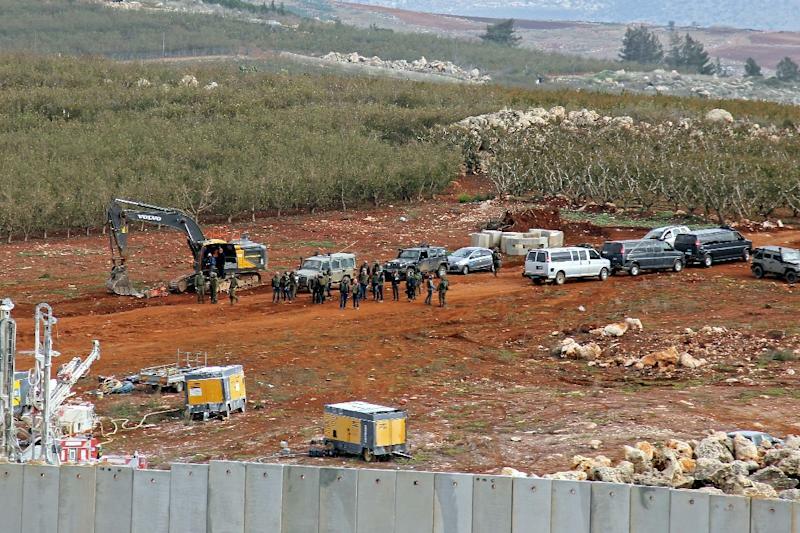 On December 4, the army announced an operation dubbed "Northern Shield" to destroy tunnels it said have been dug under the border by Hezbollah. Hezbollah is the only group in Lebanon not to have disarmed after the country's 1975-1990 civil war. "The Lebanese government is held accountable for the attack tunnels dug from Lebanese territory," the Sunday statement said. "This is another blatant breach of UN Resolution 1701 and of Israeli sovereignty," it added, referring to the resolution ending the 2006 war. On Wednesday, Prime Minister Benjamin Netanyahu said the UN peacekeeping force in south Lebanon, UNIFIL, and international community should do more to curb Hezbollah's "acts of aggression against Israel".